Efficient and accurate processing of your business and/or individual tax return that will keep the Tax Office satisfied and minimise the tax you need to pay. Wimmera farmers have been benefiting from our specialist agricultural services and advice for more than 40 years. Our goal is to enable you to maximise your skills by providing business solutions that will help you succeed! If you are a health care professional we have accountants that specialise in your industry to help you get the maximum tax return! Technology, competition, customer perceptions are rapidly changing the face of retail. If you are in retail we understand these challenges and have services and advice specific to your changing needs. Xero, MYOB, Reckon, Banklink, Saasu, Cashflow Manager – we provide unbiased advice on the best solution for your business! Growing your wealth can be challenging and keeping it just as hard. Talk to us about our financial planning and wealth creation options! There is no substitute for experience when it comes to finding the right partner to help you grow your business. Let us help you as we have done with so many businesses before you! Need finance? 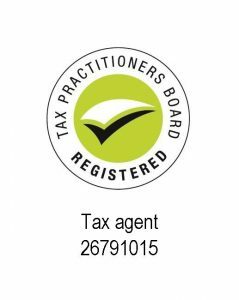 Our finance broker can find the right solution to suit your needs and with our taxation advice ensure it’s a tax effective strategy that will save you money. Have another problem? We pride ourselves on our ability to work with our clients to resolve most business problems by providing niche services and customised advice.